Helaina Hovitz is a native New Yorker who has always had the unreasonable notion that she can help change the world. Her greatest passion is writing inspiring stories about charities, social good, nonprofits, social issues, animal rescue, mental health, and recovery. Her first book, AFTER 9/11: One Girl’s Journey Through Darkness to a New Beginning, was just released on September 6, 2016 (Skyhorse Publishing). Hovitz is Co-Founder and Editorial Director of the brand new Headlines for the Hopeful, a digital news service designed to spotlight the unique and innovative efforts put forth by people and organizations working to create a better future. 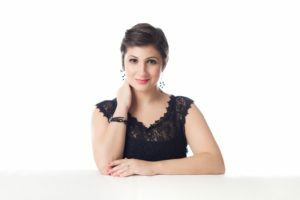 She is a contributor to Forbes, Huffington Post, Downtown Magazine, xoJane, Recovery.Org, and the New York City Restaurant Guide Editor at The Daily Meal. Helaina has also written for The New York Times, Salon, Newsday, Teen Vogue, Glamour, Chicago Tribune, The New York Observer, SCENE Magazine, SheKnows, Bustle, VICE, New York Press, Narratively, amNewYork, New York Post, the Downtown Express, and others. I previously served as Managing Editor at the Good News Network, Editor in Chief and Co-Creator of Affect Magazine, and as a Contributing Editor at Avenue Magazine. She lives in New York with her fiancé, Lee, and their rescue dog, Wiley.